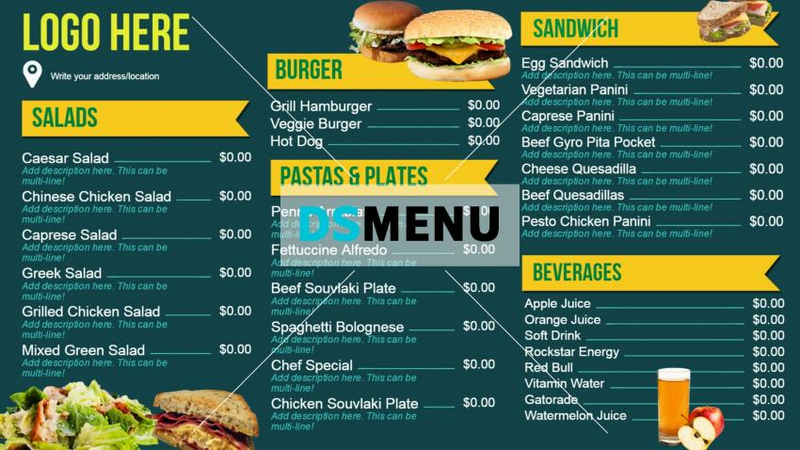 The online bistro grill menu-signage menuboard is a huge one with a lovely bluish backdrop. The food categories are mentioned in yellow and the names of items in white which appear perfect. A clean way of depicting food items, this digital menuboard signage can appear both online of offline. It can be edited and downloaded and used on TV display through pen-drive.